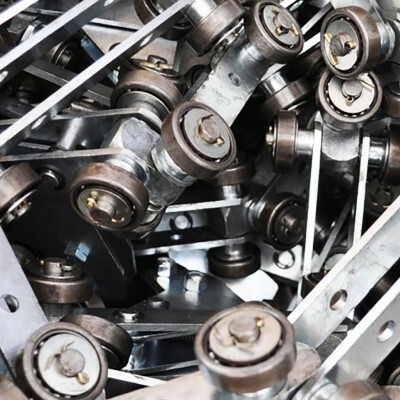 The use of a manual conveyor is a logical and valid choice with regard to savings and practicality in cases where handling does not require excessive rhythm or overly complex production cycles. 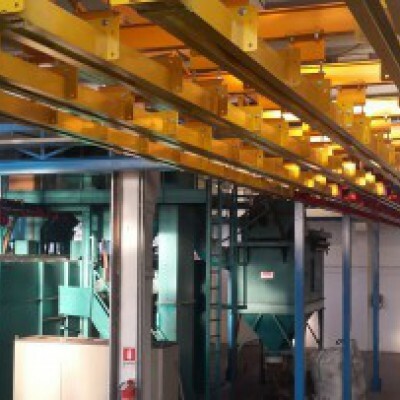 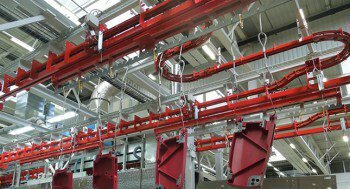 These systems can also be partially automated, for example in the pre-treatment step of a paint coating plant, giving rise to semi-automatic machinery. 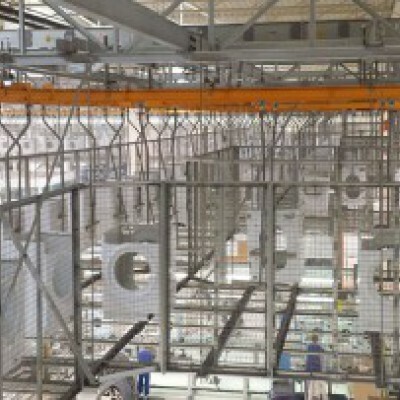 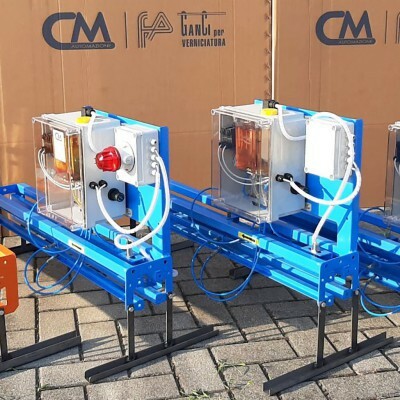 In manual conveyors, the items are placed on one or more trolleys that slide in the rail and are moved manually, directly by the workers in the factory. 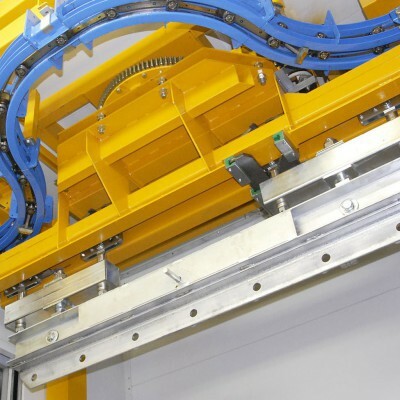 These products are set-up and configured according to specific requirements using modular components of the monorail system (track, curves, fixtures) combined with trolleys of the two-rail lines.